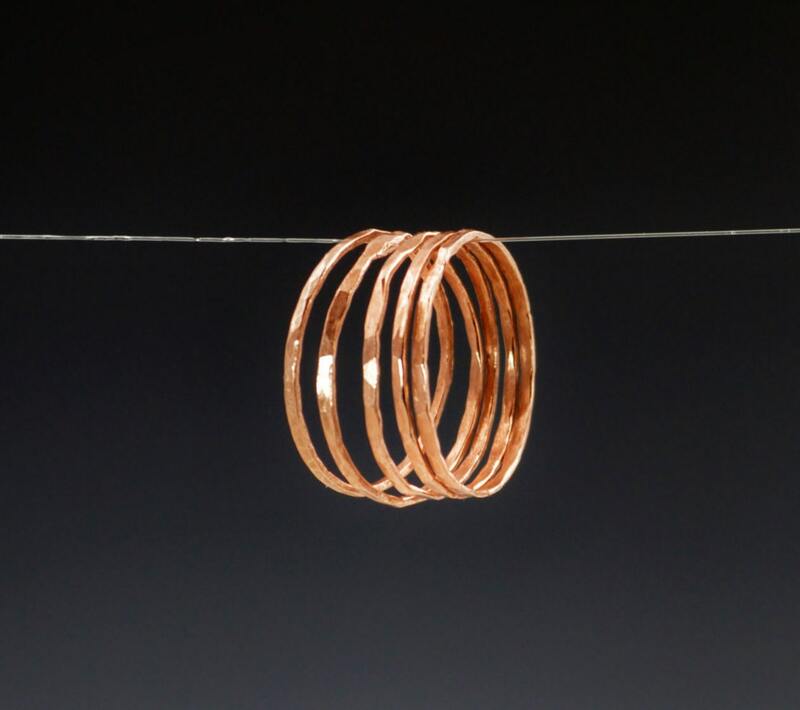 These rings are $6 each. Choose the number you want from the "quantity" pull-down. 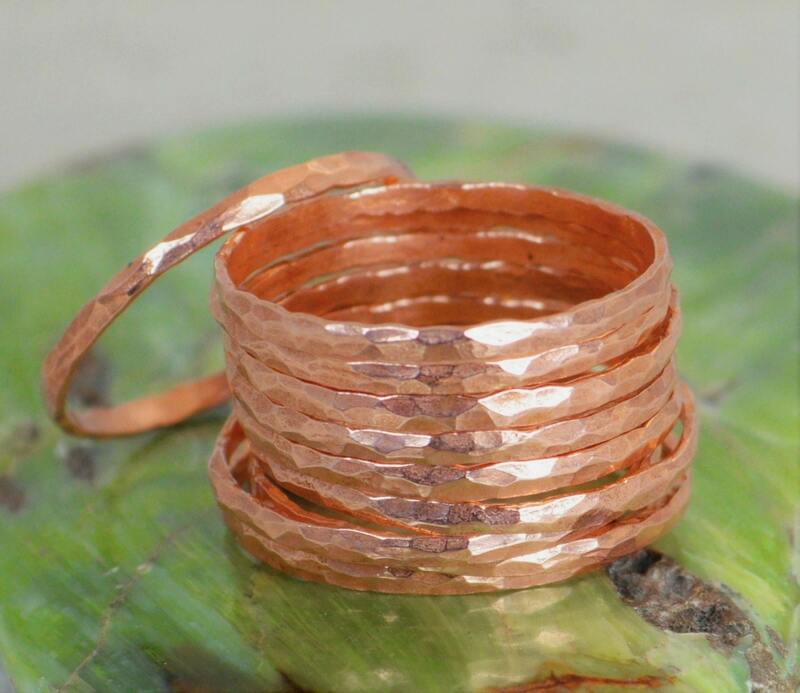 Minimal and simple dainty pure copper bands. Rustic, understated elegance. 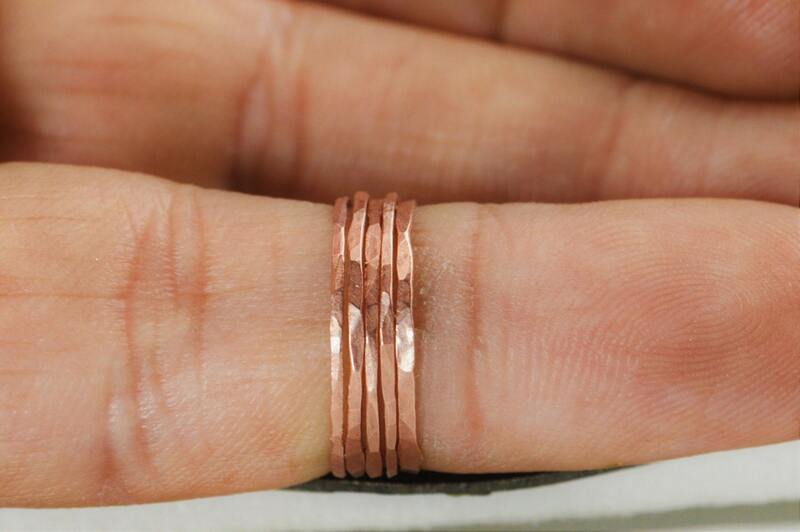 Each stacking ring is made with pure American copper, which is said to help alleviate arthritis pain. 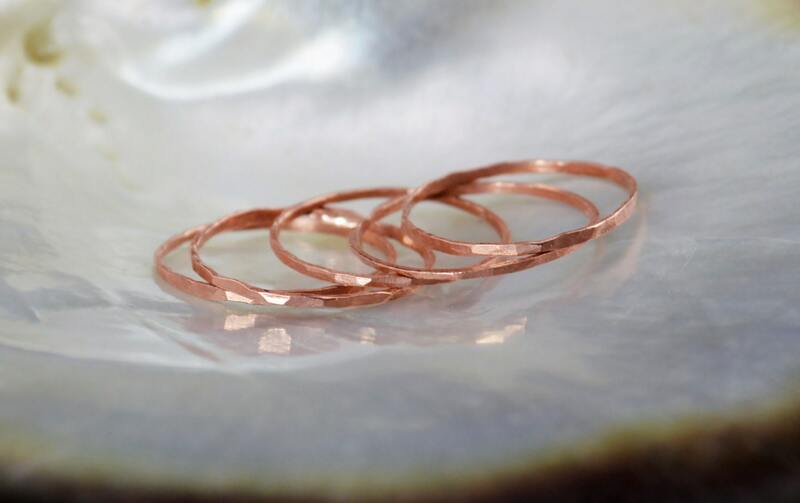 • They are super light: six weigh just over a gram.